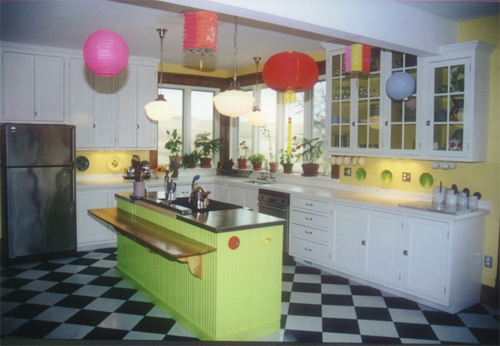 What are your thoughts about this white set of kitchen cabinets surrounded by all these clashing colors. Although I’ve seen worse this design is worth discussing. The image was posted by Martin Wood Cabinetry.